Continue reading "Writing Right Retreat"
2IT=> IT (Indian Talent)+IT(information technology)=India Tomorrow? something I wrote way back in 2015 never thought we would live the nightmare. The government envisions a digital India, and e-governance is supposed to be the core of it. fine, this is because e-governance or I do not know if digital India will empower the Indian. Technology of course becomes the key to the digital india vision. Intel promises to support this because innovation would definitely drive this movement forward. How does e-governance through technology accelerate this vision of digital India. 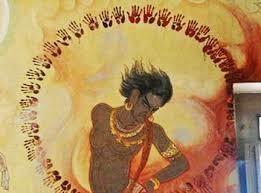 To be honest when you digital india I think of angulimala, you know the digits of the palm. But definitely you are not talking about this. To me this entire enquiry came up with the following query. What is digital India concept? What is the price we are paying for this? How is it relevant in digital India. Social Media always scared me, Thanks to BlogAdda I actually took the trouble of figuring out what it was. I do visit this blog on and off to refresh my understanding. My association with the social media began when I was in isolation during my treatment, my only contact with the outside world was Facebook, and it kept me constant contact with my family. Even before we look at mobile vs. web, my generation approaching 50 would have more fundamental question that really understands what the social media is all about no doubt it is defined as a form of electronic communication that allowed users to create online communities to share information, ideas, personal messages and other content. 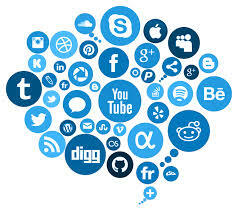 Let’s look at social media, I mean Media is an instrument on communication, like newspapers, radio, or whatever, if so, and then social media becomes social instrument of communication. In my younger days we called it gossip. Continue reading "Meet The World’s First Woman Programmer"
Continue reading "3 Giveways of The Funny World Of Blogging."